Established in the year 1990, we “FOAM PLAZA” are a prominent firm devoted to providing quality services and customer satisfaction. 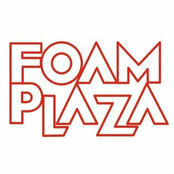 We at FOAM PLAZA not only just sell products, rather provide solutions after understanding individual customer’s needs. For over 25 years, we have built a reputation as Ahmedabad's one of the most trusted dealers and suppliers of mattresses, curtains, sofa upholstery, furnishing accessories and packaging needs. Not limited by retail sales, our clientele are spread across various forms of industries including hospitals, business houses, educational institutions, insulation service providers, architects & interior decorators. Our offered products are made using best grade raw material and advanced techniques.